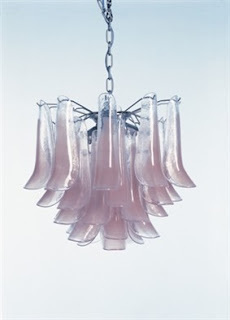 Who says Lighting has to be boring! Clearly not Tindle. 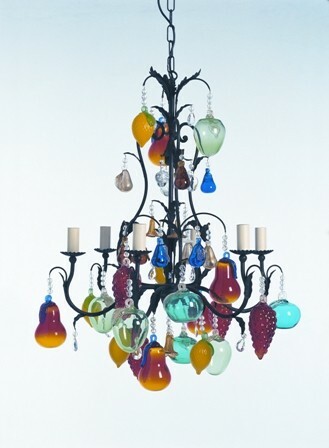 I love the coloured glass fruits dripping from this gorgeous chandelier. I can see this in a busy and colourful family kitchen, the kind with kids drawings on the fridge and an old pine kitchen table. And this Pink Murano light would be equally at home in a pale cream painted French guest bedroom or lucky little girl's room.